BCG vaccines were derived by in vitro passage, during the years 1908–1921, at the Pasteur Institute of Lille. Following the distribution of stocks of BCG to vaccine production laboratories around the world, it was only a few decades before different BCG producers recognized that there were variants of BCG, likely due to different passaging conditions in the different laboratories. This ultimately led to the lyophilization of stable BCG products in the 1950s and 1960s, but not before considerable evolution of the different BCG strains had taken place. The application of contemporary research methodologies has now revealed genomic, transcriptomic and proteomic differences between BCG strains. These molecular differences in part account for phenotypic differences in vitro between BCG strains, such as their variable secretion of antigenic proteins. Yet, the relevance of BCG variability for immunization policy remains elusive. 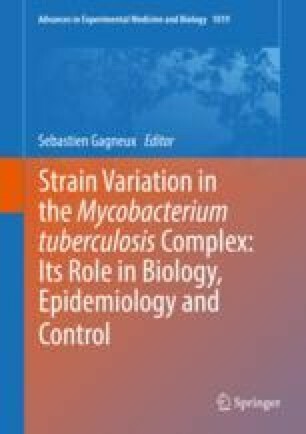 In this chapter we present an overview of what is known about BCG evolution and its resulting strain variability, and provide some speculation as to the potential relevance for a vaccine given to over 100 million newborns each year.